Easy peasy way to get your protein in! 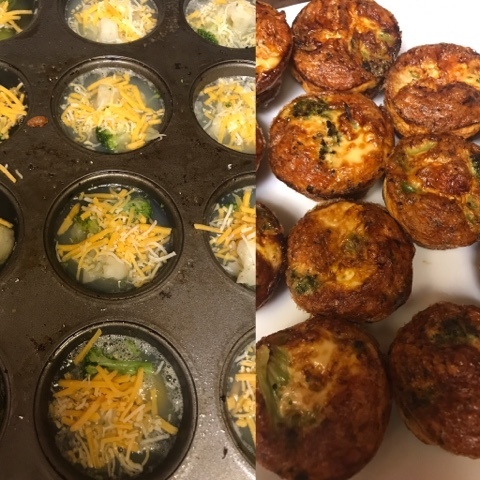 Egg white, broccoli & cheese muffins! Grab and go, I don't even heat 'em up! 8. Bake until golden brown. Test them before removing them. If they come out of the tin while and are fully cooked all the way around, they are ready to go. I like my eggs very well done so I wait until they are very golden brown.